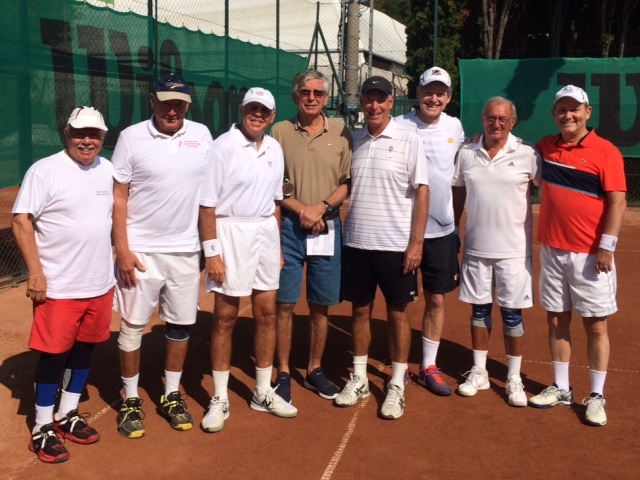 A small but enthusiastic group traveled to Budapest, Hungary from August 24-27 for three days of tennis and international camaraderie. Tamas Hamori and Janos Davidhazy were terrific hosts, arranging a competitive and social agenda that provided an opportunity for US players to experience one of Europe's great cities! On Friday afternoon, we were met by a nice group of Hungarian players who allowed us to get acquainted with the "red shale" surface of the Svábhegyi Polgári Klub. Drinks afterward fostered talk about IC events that many participated in during years past. Saturday's matches consisted of mixed teams of Hungary and US players that provided friendly and lively competition. To round out the US team, an Australian colleague joined us, thanks to his early arrival to Hungary for a competition a few days hence. A nice lunch followed that day's competition, which allowed each team to share stories of past glory. 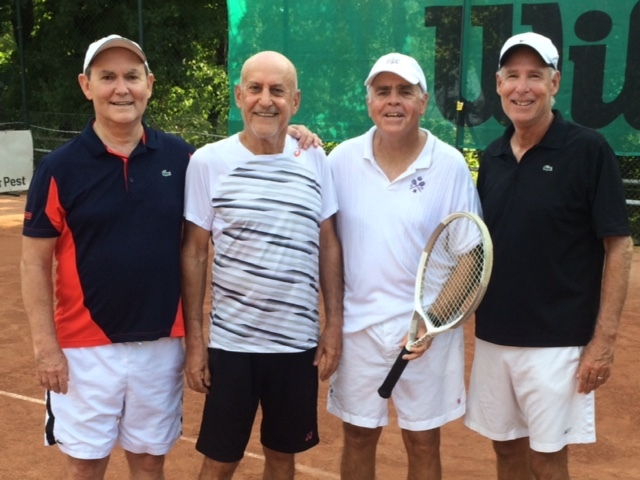 Sunday's official competition consisted of two singles matches and two doubles matches. The US prevailed, winning the official match by a score of 3-1. Following the match, an Official IC Lunch was held that included players from all three days and their guests. 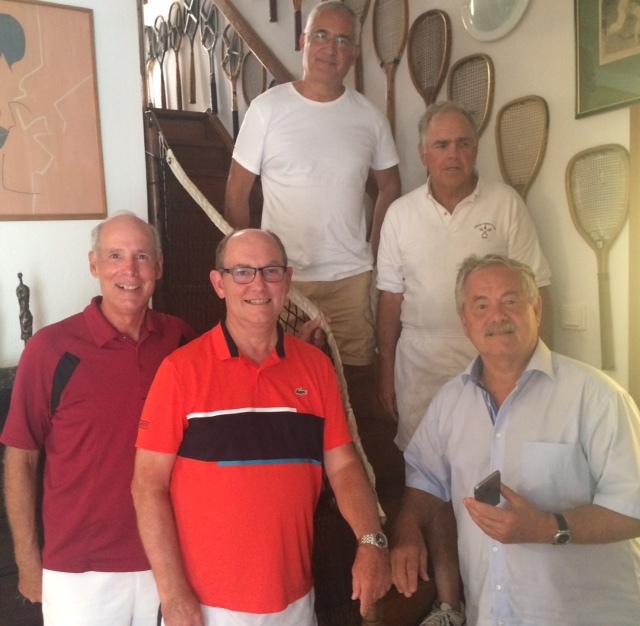 After the exchange of gifts and a traditional Hungarian lunch, the group was invited to the home of Balazs Gaspar, which houses his extensive collection of tennis memorabilia. Only a few museums in the world can boast more tennis artifacts. While many other competitions would consider a match win the highlight of the trip, for the lucky few US players that participated in this IC event, it was one of many! Our dinner on the Columbus on the River Danube, hosted by Dr. Imre Kantor and his wife Ana, was most memorable with the lights of opulent Buda Castle and Chain Bridge in the background. Our trip to Balazs' home to see his tennis memorabilia collection could alone justify a separate trip to Budapest for many tennis enthusiasts. And the fantastic hospitality and sportsmanship the Hungarians displayed throughout the event was special. Each of us left Budapest with renewed appreciation for what being an IC member really means, and we were thankful we made the decision to represent the USIC.